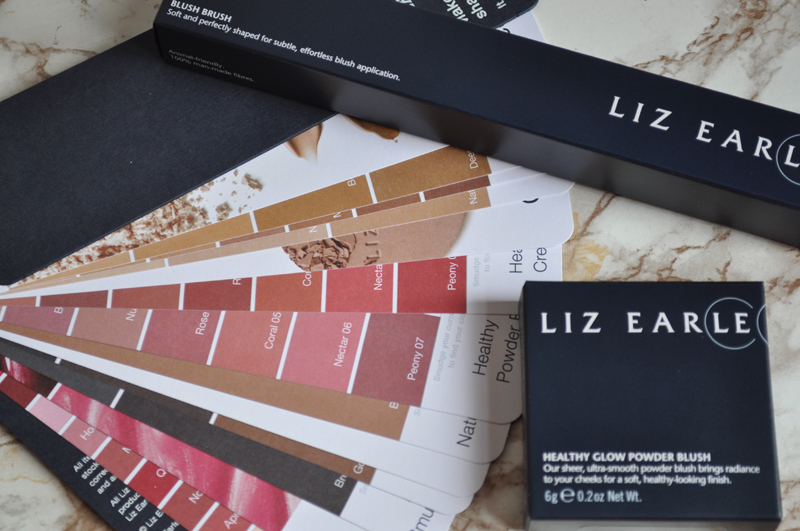 I was really excited when Liz Earle announced they were coming out with a make-up collection and their sheer tint is one of my favourites. I have two products to show you today but there are so many on my wish list, in particular their cream blushes and powder brush. 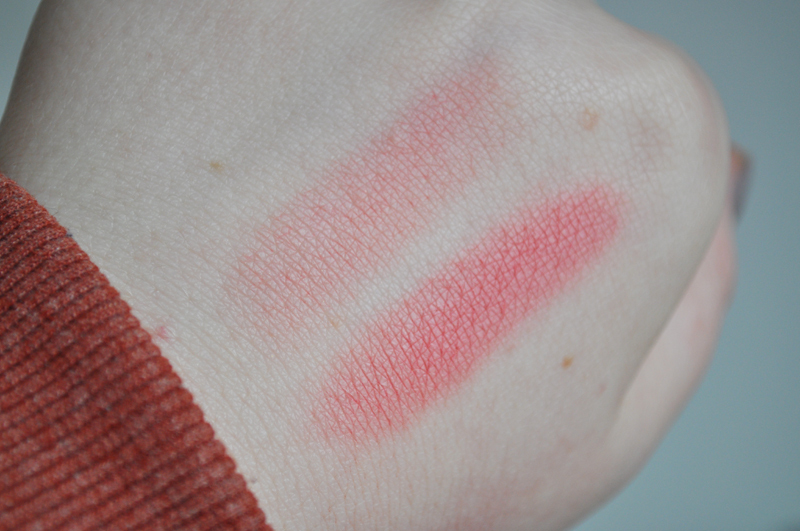 I'm going to their store when I'm in London in a few weeks to do a lot of swatching! I'm also interested in the shades of their concealers. First of all, the blush brush is the softest brush I own and has highlighted that I really need to buy some nice quality brushes, I'm thinking real techniques. The brush itself looks really nice and the plastic handle doesn't look cheap. 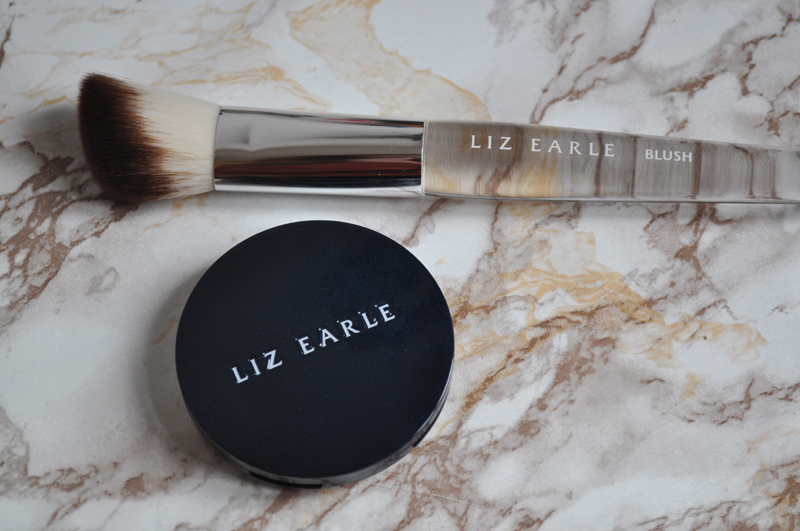 It works wonderfully as a blush brush but I've be using it for contour, bronzer and even powder. It also blends really nicely and just feels nice to use. It's also around £10 cheaper then a Mac brush and probably a lot softer. The bristles are 100% man-made fibres. 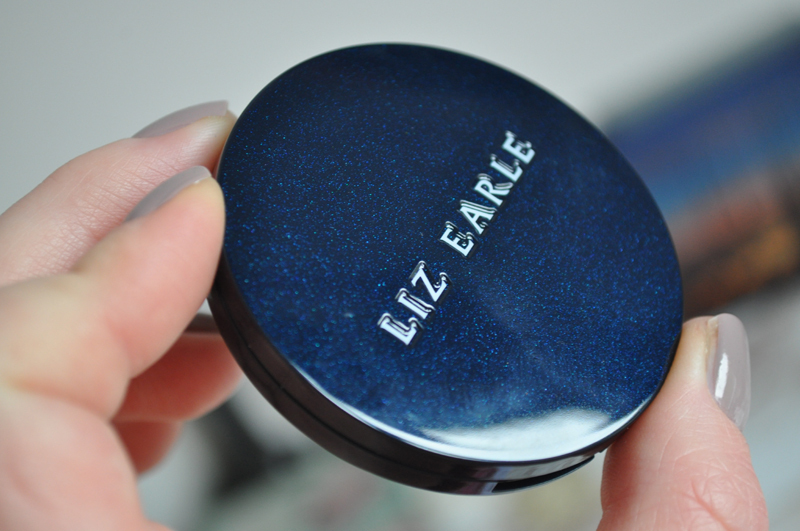 I love the packaging of the blush, the dark blue with shimmer makes a nice change from black. 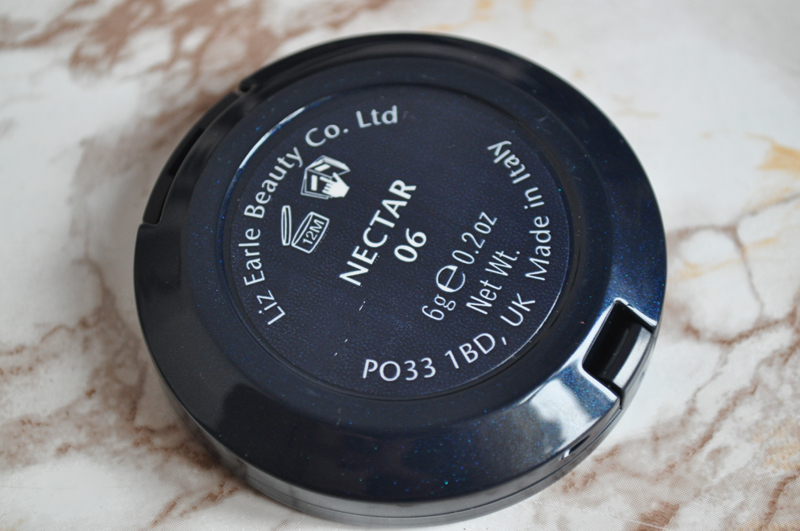 The compact also feels like it's really well made and there's a little mirror inside which is perfect if you're keeping it in your bag. 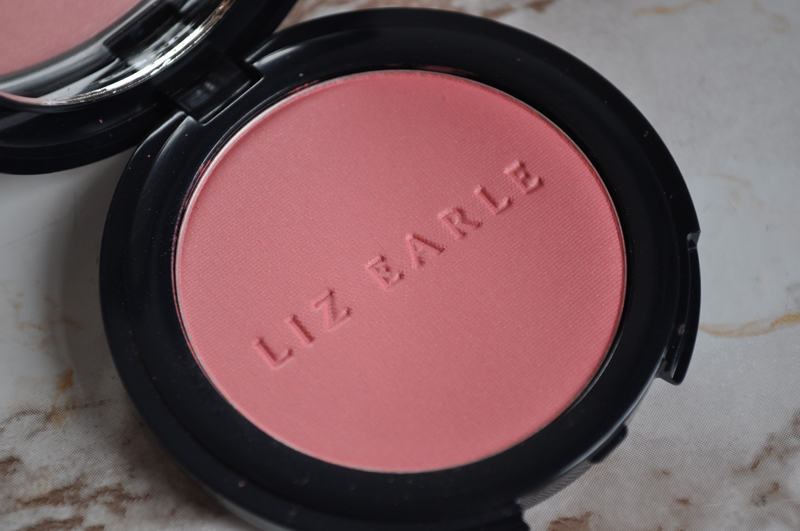 The blush is available in 7 shades and Nectar is a lovely rose pink with a little bit of shimmer that doesn't really transfer onto the cheeks. It can be worn lightly for a very natural look or built up for more colour. 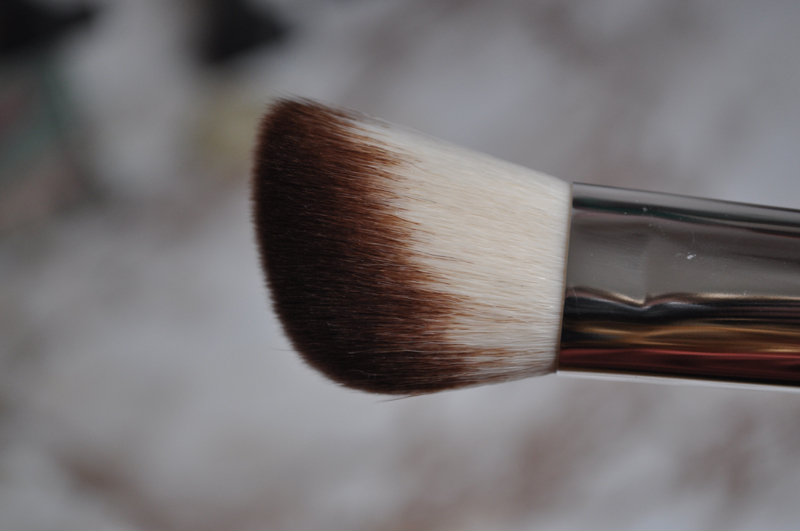 It also blends in easily especially when using the blush brush. Have you tried anything from the new make-up range? 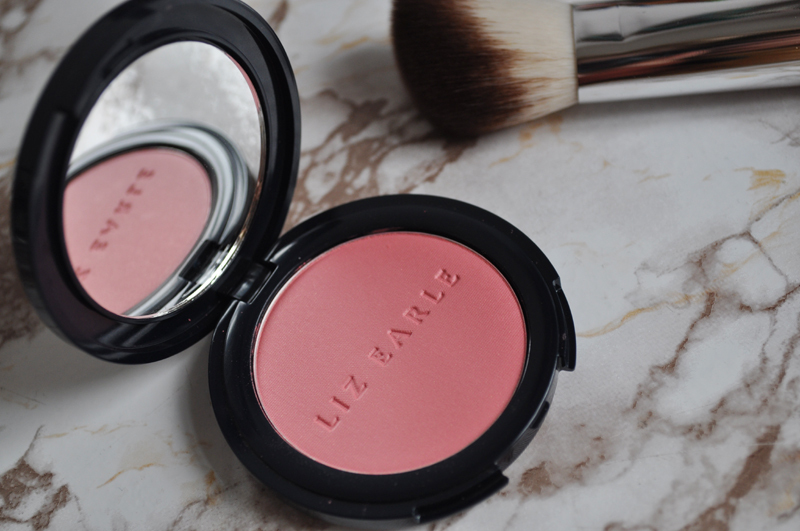 Really lovely blush and the brush looks great, very unusual! You have really lovely blog! :) Wishing you great weekend!